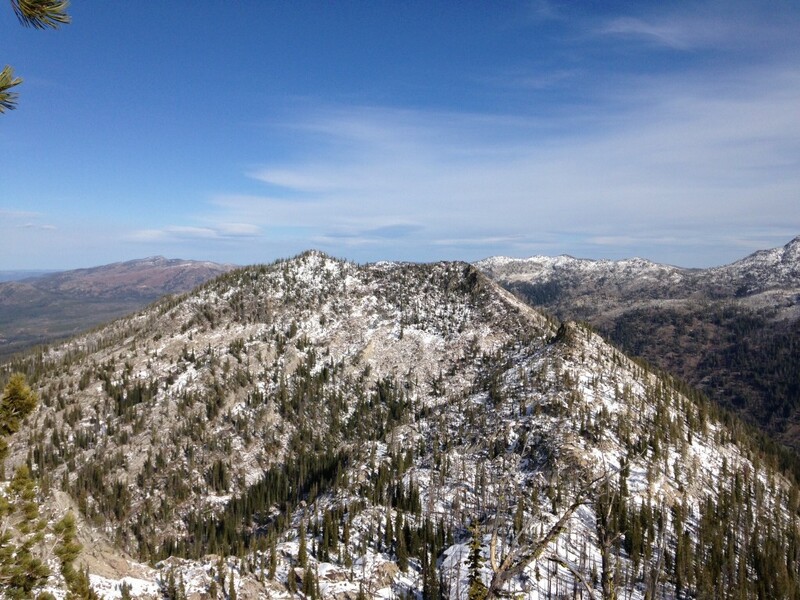 This peak is identified as the Pearl triangulation station on the Box Lake USGS Quad. 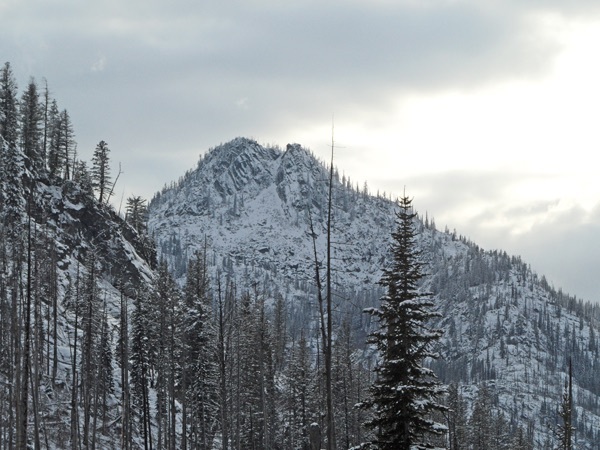 It is the northern terminus of a long Lick Creek Range ridge that parallels the North Fork Payette River on its west side and runs south to Beaverdam Peak. The easiest access is from the west. Follow the Warren Wagon Road [(B)(2)] to a signed turnoff for the Crestline Trailhead this rough road leads 7.0 miles to a trailhead at 7,200 feet west of Peak 8347 (Black Pearl Peak). From the trailhead an unmarked trail leads north in a round about manner just west of the base of Black Pearl Peak. Continue by skirting around the base of Black Pearl and drop into the drainage below Pearl Peak’s south face. 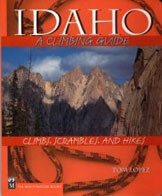 Climb the face utilizing granite ribs and bear grass covered slopes. Art Troutner found rememnants of a fire lookout just off the summit. See John Platt’s trip report. 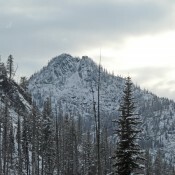 rossing over several other scenic granite peaks along the way including Rain Peak and Burnside Peak. Like almost all Lick Creek Range peaks glaciation has carved a steep north face out of the peaks bedrock.